It won’t be long now until the Summerfest grounds are alive with the sounds of bands jamming and the tantalizing smells of a wide array of food options. Oh, and also the hundreds of thousand attendees! The 2017 Summerfest kicks off on June 28th, with Red Hot Chili Peppers headlining on the American Family Insurance Amphitheater. (It still doesn’t sound right not to say “Marcus Amphitheater.”) Other big names performing on the main stage this year include Paul Simon, Luke Bryan, Pink, Tom Petty & the Heartbreakers, Big Sean, Willie Nelson, and the Nobel Prize-winning Bob Dylan. If the weather is cooperative for the Big Gig—keep your fingers crossed!—you may want to head out wearing fashionable sandals to let your feet breathe…well, unless a fungal toenail infection has you embarrassed and self-conscious. Even if Summerfest isn’t your scene, you still want to have toenails that are clear and healthy when you wear sandals or open-toed shoes walking around town, or if you take advantage of our warm months to go to the pool or beach. 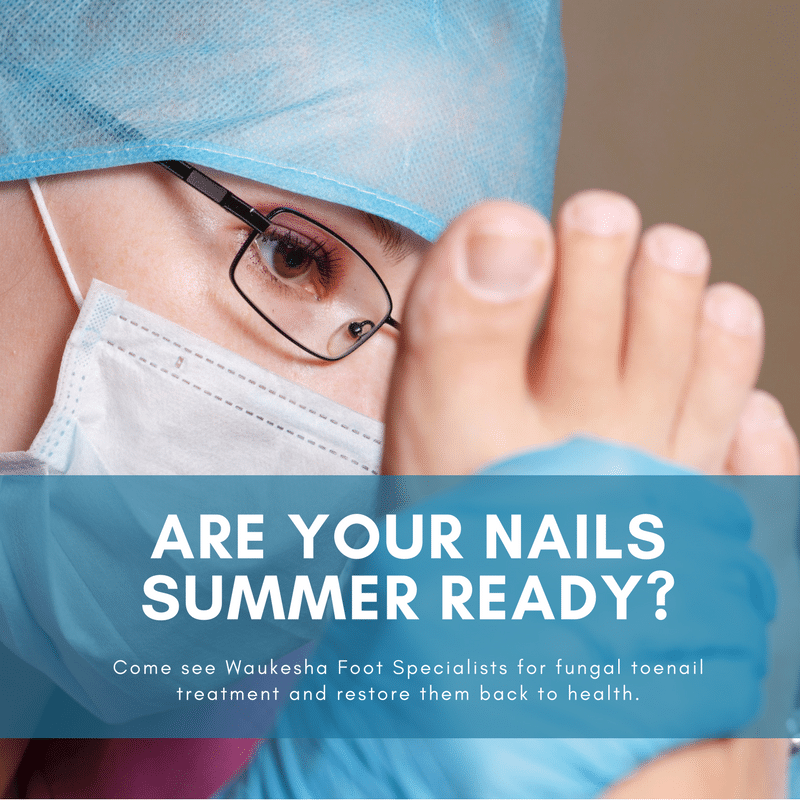 We don’t want a case of toenail fungus to keep you from enjoying summer events and activities. It’s important to make sure you act soon, though. Restoring fungal toenails back to health doesn’t happen overnight! In the past, there were essentially two options for treating a case of fungal toenails – oral and topical medications. Depending on the patient and the severity of the nail infection, these options have varying degrees of efficiency. More concerning, though, is the fact they can sometimes come with undesired side effects. Side effects tend to be more common with oral medications, which are better at treating an infection from the inside than are topical treatments. This means each of these treatment options has its respective downsides that do not exist in laser treatment for toenail fungus. Put simply, the best way to eliminate the problem is through a laser treatment that completely destroys the fungus under the nail. This type of infection is curable, but it may take a few treatments and some patience while a new healthy nail grows back out. When we use lasers to provide clear, clean nail tissue, there are no side effects (like there can be with oral medication) and the concentrated light beams are able to penetrate through the nails to eradicate fungus growing on the nailbeds (which topical medication cannot reach). This FDA-approved procedure is really the best of both worlds. It is safe and effective. We offer a wide range of treatment options to effectively address numerous foot and ankle problems. To find out more about laser therapy for toenail fungus, and other services here at Waukesha Foot Specialists, simply give us a call at (262) 544-0700 and our staff will be glad to answer any questions and provide further information. While on the phone, you can also request your appointment with us.